By LUDWIG VON KOOPA - Another giveaway. For a good cause. Last week, we told you that today are the mid-term elections in the United States of America. Well? Polls should be open when you read these words. Go figure out your polling location and vote! But besides that, Ludwig has another Pokémon Omega Ruby and Alpha Sapphire demo code to give out, thanks to a Nintendo e-mail. He has actually played the demo himself now with another code, so he has nothing else to do with this extra, third code besides give it out. Like he did his first one. Let's combine those two concepts. I did my best to make the colours match. So we are looking for a list of candidates. If your ballot has like... a lot of them, list important-sounding ones. Those include (and your ballot may not have all of these): Federal Representative, governor, and federal Senator. Maybe list some important ballot initiatives, too. We just want you to be involved in the process, because a lot of the things we talk about on KoopaTV can be affected by your vote. Or, again, your parents' if you can't vote yourself. Just ask 'em what they did. We recognize that we can't verify if you actually went and voted. ...But please be honest! We'll comment on the winner in this article's comment section on November 5, 8 PM EST. That should give you plenty of time to make your comment in this comments section to enter. Ludwig is getting more demo codes than he knows what to do with. He did not even like the demo! He will be voting later tonight. Polls do not close uniformly around the United States, so please be aware of your own deadlines! Ludwig gave out the code here. Then Nintendo gave Ludwig even more codes after their expiration date. 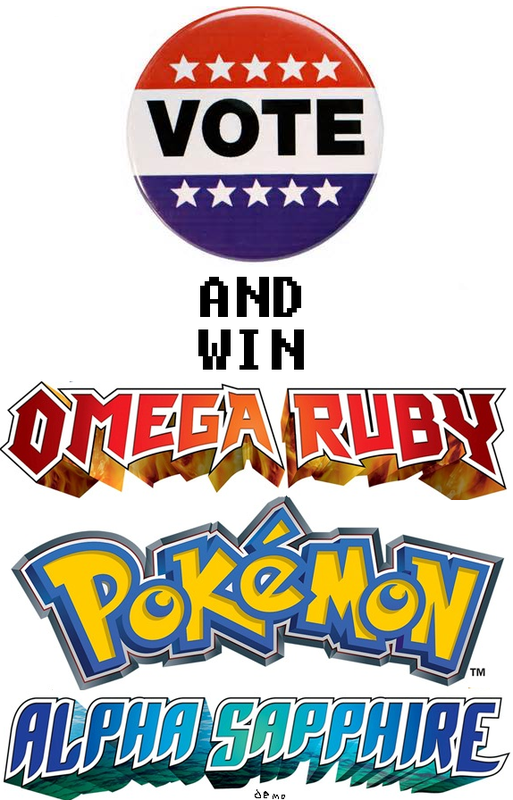 Here's a ballot you can vote in even under-age: The Smash Bros. Fighter Ballot! ...Well whatever, I can't give a prize if no one entered. I DON'T WANT THIS CODE SOMEONE TAKE IT.